Another fun and engaging entry in the Tales series, featuring everything from explosive battles to cute cats. Although it can’t quite live up to the excellence of the original Tales of Xillia, Xillia 2 is nonetheless a well polished and highly enjoyable game. Avid Tales fans will need no urging to add it to their collection, but anyone who enjoys JRPGs would be well advised to add it to their collection. Ludger Kresnik is determined to become an agent for the Spirius Corporation, but when he fails the practical exam, a less glamorous life working in the cafeteria of the local station beckons. 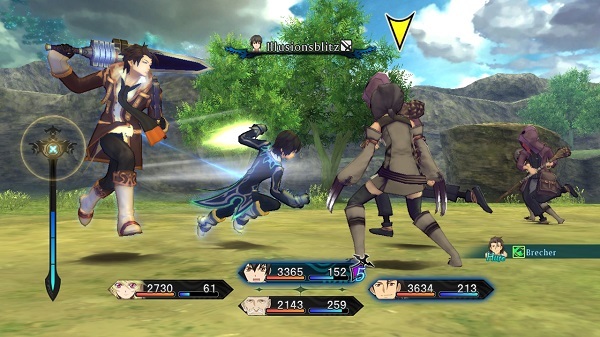 Things take a turn for the exciting when he gets caught up in a train hijacking on his first day, and before he knows it, Ludger finds himself working alongside Jude Mathis and the other heroes of Tales of Xillia to uncover the truth behind the hijacking, and just why his own brother seemed to be involved. Set a year after the original Tales of Xillia, Xillia 2 takes us back to the worlds of Elympios and Rieze Maxia, complete with brand new protagonist and plenty of familiar old friends. Like many direct sequels, it doesn’t feel quite as epic in scope and execution as its predecessor, but nonetheless it’s still an absorbing adventure that’s a lot of fun to play. Rather than opting for a linear storyline with optional sidequests for the dedicated, Xillia 2 deliberately interweaves its main story with interludes in which the usual range of monster beating and item fetching quests must be carried out. The framing device for this is that the events at the beginning of the game leave Ludger hideously in debt, and it is only by taking on quests and paying off his debt that he is allowed to explore more of the world and advance the main story. This might sound a bit clumsy and tedious, but in actual fact it helps keep the game balanced, as some of the story chapters are very dialogue and cutscene heavy. 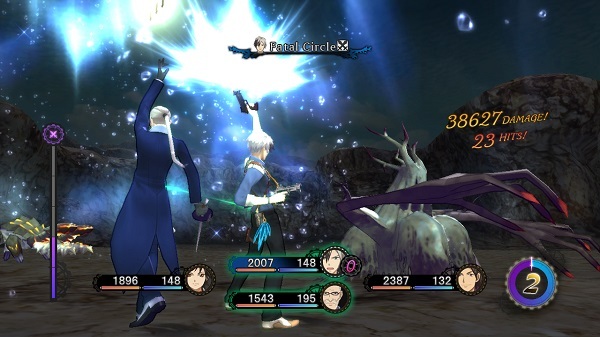 Battle in Xillia 2 is a lot like it was in the first game, with just a few tweaks to keep things fresh. The grandiosely titled “Cross Dual Raid Linear Motion Battle System” basically means that you and your AI controlled allies run around the battlefield in real time, landing combo attacks and specials on the enemy. You can link with an ally to gain support abilities and launch special attacks as before, making for a fast-paced and explosive battle experience. 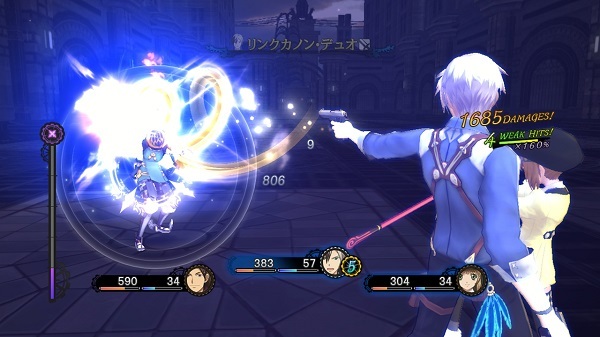 As usual, you can choose which character to control, but you’ll probably find yourself defaulting to Ludger, who has the special option to switch between pistols, blades and a hammer, each of which is strong against different enemies. Outside of battle, the levelling system has also been tweaked. No longer do you earn points to spend traversing a grid of skills and stat boosts each time you level up – instead, this time around you equip ‘element extractors’ that slowly accumulate points in battle. Once you earn enough points, new passive skills and battle abilities are yours to command. Stat boosts, meanwhile, are just earnt by levelling up normally. One cute feature that it would be remiss not to mention is how important cats are to the world of Xillia 2. As well as being accompanied on your journeys by Ludger’s adorably rotund feline friend Rollo, you’ll be able to locate up to 100 cats throughout the world of Xillia 2. Once you find a cat in an area, you’ll be able to use a special feature called ‘Kitty Dispatch’ to send Ludger’s cat to search for useful items and materials in that area. With so much of your quest time spent looking for specific items, it doesn’t hurt to have a cat on your side helping you find things! Given that it’s set in the same world as the original Tales of Xillia, Xillia 2 isn’t shy about re-using resources from the first game. Many of the town and dungeon maps have been re-used, and even the new areas don’t really feel that much different. All of the returning characters have been given new costumes, but the theme this time around seems to be for contemporary clothing styles in dubious colours, a look which is less attractive than the more fantasy-anime style of the original. The background music is solid, but not quite as catchy as the original. Followers of the Tales series will be unsurprised to learn that Xillia 2 is liberally sprinkled with ‘skits’, the short optional cutscenes that usually highlight a lighthearted moment or provide a bit of character background. 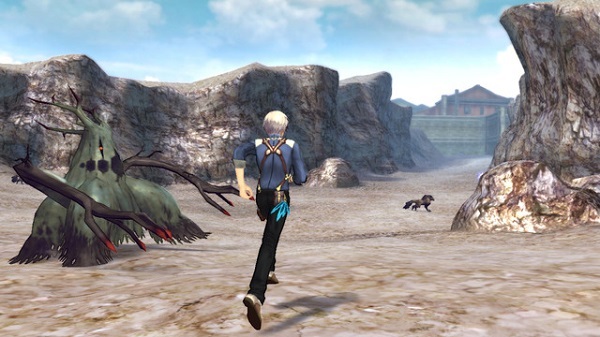 New for this game is also the chance for Ludger to choose his responses in certain scenes – a feature that doesn’t overly affect the main story, but can alter his relationship with his allies. Getting along with your friends is definitely important, as it will let you play through special chapters dedicated to their individual stories. Final Thoughts Although it can’t quite live up to the excellence of the original Tales of Xillia, Xillia 2 is nonetheless a well polished and highly enjoyable game. Avid Tales fans will need no urging to add it to their collection, but anyone who enjoys JRPGs would be well advised to add it to their collection.